Finding out who to talk to about paint specifications is often one of the biggest hurdles for facility owners and managers. They simply don’t know where to start. They usually rely on one of three options. They either reach out directly to a contractor, to an engineering firm or to the manufacturers themselves. There are obvious issues with expecting a contractor to write paint specifications for a project, especially if they plan on being involved in the bidding process. The potential for conflict of interest between the contractor and owner is simply too high. That said, a trusted contractor is often able to point an owner in the direction of an engineering firm or manufacturer with whom they’ve worked in the past and whose specifications they have been satisfied with. Engineering firms tend to write thorough, detailed project specification sheets, though typically at a cost. When it comes to the paint portion of the specification, some larger engineering firms will have a coatings specialist on staff. Others will, like contractors, fall back on trusted connections they’ve worked with in the past. This may mean going directly to the manufacturer to consult product data sheets or for an opinion on products. Say, for instance, which coating would be capable of standing up to a specific chemical concoction housed in a large storage tank. Coatings manufacturers specialize in the sort of details hashed out in a paint specification sheet. They are familiar with the strengths and drawbacks of their products, ideal application conditions and the best methods for applying them. Coatings sales representatives need to make sure their products work properly. They have a vested interest in writing specifications in such a way that their products live out their service lives and successfully guard against corrosion. Otherwise, repeat business is a pipe dream. That said, owners should not assume that all manufacturer-generated spec sheets are created equal. Some will call it a done deal once they’ve talked to you on the phone, heard you describe the conditions in your facility, and then written you a recommendation for a product that will probably get the job done. In general, if a manufacturer makes a recommendation after only one phone call, it’s time to cue the alarm bells. A more detailed approach to a paint specification sheet is likely needed for a successful project. The writer should have a feel for the ambient conditions surrounding the asset in question. Personally inspecting current levels of corrosion, atmospheric conditions, frequency of wetting, operating temperature fluctuations and other site-specific concerns will lead to a better understanding of the stresses the coatings will be exposed to, and the level of protection needed to preserve the asset. If an owner should decide to go to a coatings manufacturer for writing paint specifications, he or she should demand at least that level of detail. If the manufacturer is unable or unwilling to accommodate those standards, it would perhaps be wise to explore other options. Remember, the specification sheet will determine the entire scope and direction of your project. It’s not a place to cut corners. If you would like to discuss writing paint specifications further – the writing process, what you should expect from a completed document, or ask any question you may have – please contact one of our NACE-certified professionals at US Coatings. Alternatively, if you want to know more about paint specifications, download our comprehensive guide to writing paint specifications below. The paint specifications sheet will determine the entire scope of any coating project. Specifically, for a painting project, this is broken down into three broad categories; the product to be used, the surface preparation required and how the product should be applied. As mentioned in our previous post on how to write paint specifications, a specification’s worth is largely a matter of detail. Instructions must be detailed enough to avoid misunderstandings between the contractor and the owner, while not being unnecessarily restrictive. The following are details that may be included for each category of the specification. “Sole spec” sheets are written specifically for a certain product. This is a situation where “shall” or an equally stern term will be used to refer to the product to be used. In some instances, such as federally funded projects, sole spec sheets are not permitted. In these instances, a few options may be provided, or “may” will be used to indicate a tolerable substitute. Here a product may be referred to as “trade name or equal”. This section will also likely specify any unique product formulations the project requires. For instance, if strict VOC regulations are a concern, this section could stipulate a high solids or even 100% solids formulation. Because surface preparation is such a tremendously important step in the process (improperly preparing a surface is a surefire way to shorten the coating’s service life) spec sheets must either stipulate the required level of surface preparation or direct the contractor to a product data sheet that does so. This is another section of the spec sheet that should heavily reference specific product data sheets. The ambient conditions, number of coats and mil thickness required for a successful application should be spelled out in that document. The specification sheet should also specify the method to be used during application. If a specific formulation, such as a 100% solids formulation is called for, then this section should also include any notes on required application equipment such as plural component pumps. The contractor should also be made aware of any other challenges that may arise during the application process in this section of the specification sheet. Your paint specification sheet will specify what products are needed and how they need to be applied, as well as the surface preparation required for the job. These are the core elements of a paint specification, but to learn everything there is to know about paint specifications you can download our comprehensive guide below. Implementing corrosion protection for your facility all starts with one important document: your paint specifications sheet. Your paint specifications sheet will outline the entire course of your project. 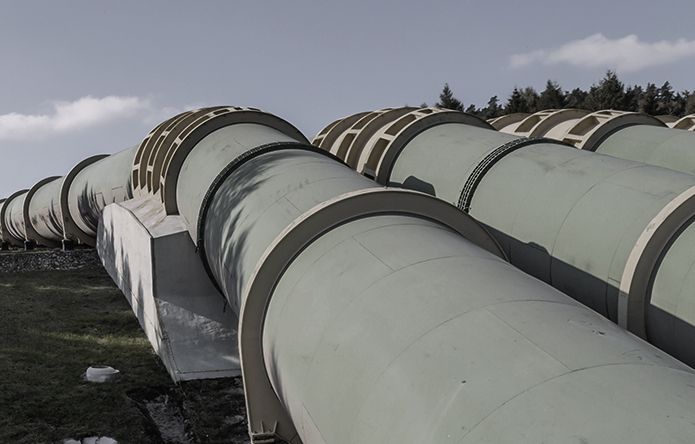 This document must clearly and concisely lay out the conditions and processes that will prevent corrosion and other harmful damages to your facility. It is not a statement of how the project should look once completed, but rather a detailed explanation of the conditions necessary to achieve maximum service life and corrosion protection. Paint specifications are the project template, and if something is wrong with the template, the finished product simply won’t perform properly. In the unfortunate event of a dispute between a contractor and a project owner, the project specifications will also likely be used to determine whether each party lived up to its responsibilities. This is just another reason to make sure your paint specifications are thorough and clear before a project gets off the ground. Well-written paint specifications contain exactly as much detail as they need to make expectations clear and no more. Industrial coatings are more complex than they used to be, and paint specifications need to reflect that complexity. At the same time, these specifications need to be unambiguous in order to avoid confusion about an owner’s expectations. It should be clear to a contractor that the owner expects all aspects of the document to be lived up to, or else any recommended changes should be clearly mentioned during the bidding process. Clarity of the paint specifications will reduce the likelihood that a contractor’s work does not conform to expectations. A clear understanding between both parties will also reduce the probability that expensive change orders will need to be filed during the course of the work. As mentioned before, specifications can act as legal documents in the case of a dispute, and any confusion resulting from unclear specifications may increase the risk of a breach of contract or a legal dispute. But what are the actual elements of a specification document? What exactly is being specified? For answers to these questions and more info on who to talk to about paint specifications, download our whitepaper below. Note: This is the second of a series of posts covering the definition, development and properties of flow efficiency coatings. Click the button at the bottom of this post to download the full PDF. 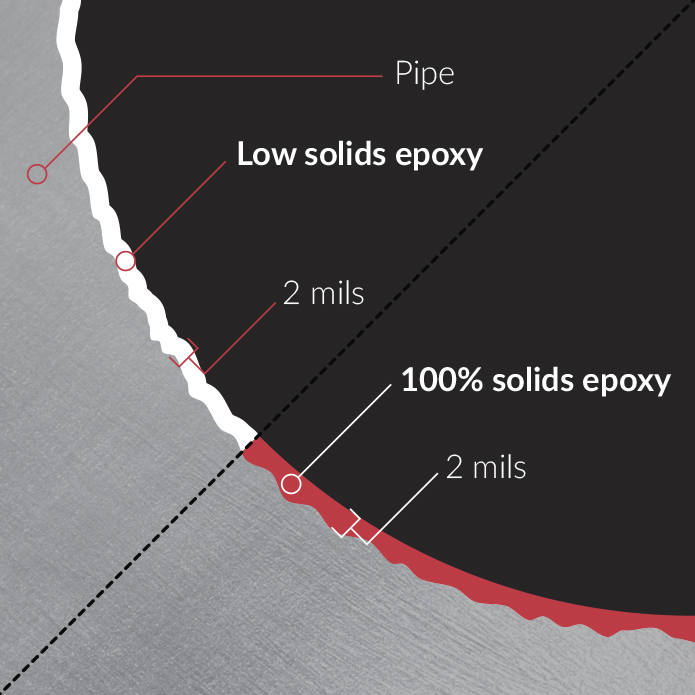 For years, the most common formulations of flow coatings were based on low solids epoxies. 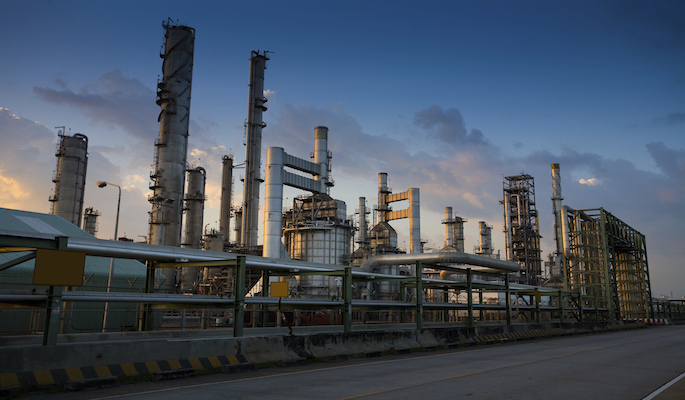 But recent regulations governing VOCs emissions at the regional, national and international levels have made these formulations difficult or impossible to use. In response, some companies have begun to experiment with new formulas for internal pipe coatings. Water-based epoxies emerged early as a potential solution, but problems have surfaced. Water has proven difficult to remove once the coatings have been applied. This makes climate a major factor in the application process. In predominantly humid environments, water-based coatings have a tendency not to dry at all. 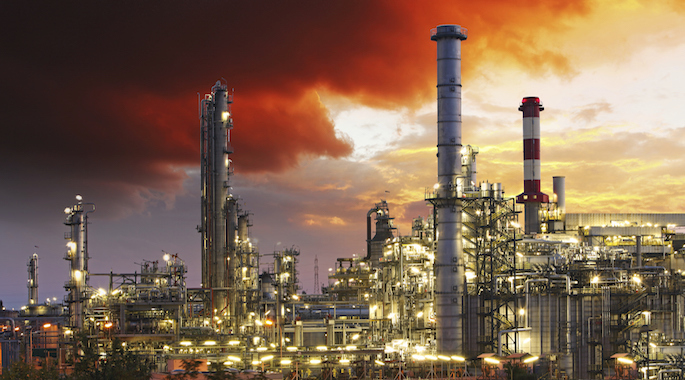 Plural-component, 100 percent solids coatings have superseded water-based epoxies as a solution to the problem of flow efficiency coatings and emissions regulations. These have been shown to have quick cure times, regardless of weather conditions. Even in rain, 100 percent solids tend to dry. And of course, because they contain no solvents, they comply with even the strictest regulations. It is true that some investments must be made in order for an operation to make use of plural component coatings. Pumps and other application equipment are on consideration. The products themselves are generally about twice as expensive, as well. This turns into a relative wash, though, because they also tend to cover twice the surface area of lower solids coatings, so about half as much product is required. Waste is also a non-issue, since plural component coatings are not mixed until the moment before they are applied. These benefits make 100 percent solids a viable option for use as flow efficiency coatings. But there is another benefit high solids coatings can bring to flow efficiency that may ultimately tip the balance in favor of the cost-effectiveness of these types of coatings. 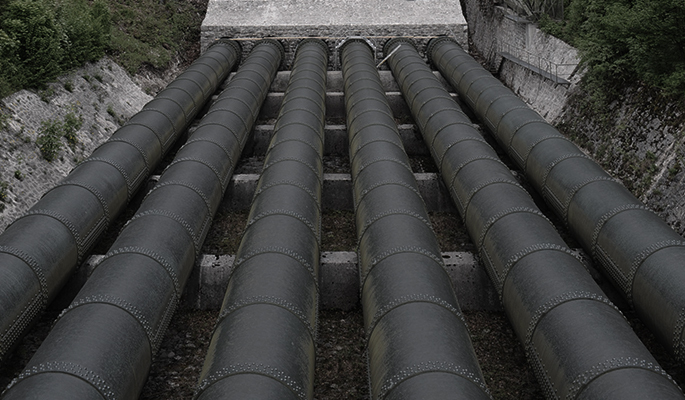 In our next post, we’ll be discussing how, and why, corrosion-resistant properties can be combined for ultimate utility.